I met a lady at Saami ryoutei restaurant. I had supported her wedding ceremony seven years ago. When our eyes met, my feet moved to approach her even before my brain recognized it was her. The baby who was still in her tummy at that time has now grown big. “Who is she?” asked the child. I am so grateful that we could get the chance to support their precious family’s wedding as well. Wishing the couple a life time happiness! 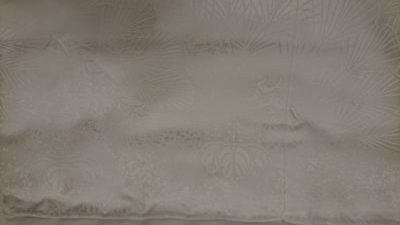 Iro-uchikake “Momoyama Hana-kurabe” is colorfully designed uchikake which image comes from Momoyama period and it has special soft texture of Kara-ori (woven-silk). 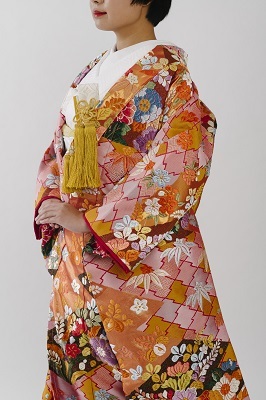 The traditional motives which were used often for the costume of Noh(=classical Japanese musical drama) and Kosode (a kind of kimono) in Momoyama period are placed all over. 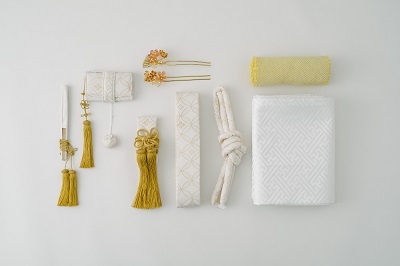 The accessories are in cream color with woven “SHIPPO” pattern. Gold fringes and yellow obiage (sash belt) will give the accent to the coordination. 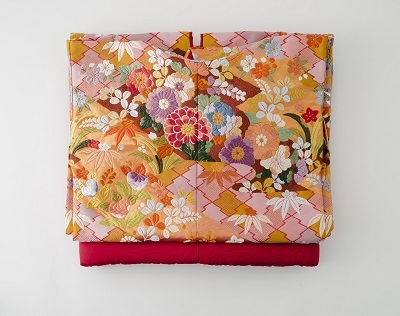 This iro-uchikake in pink must look great and gorgeous on you. Even if you never chosen pink for your clothing, this may look good on you as it contains so many different colored motives. 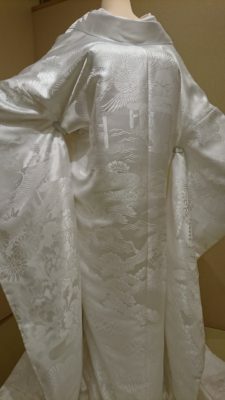 We will hold next fitting event for the wedding kimono on March 23rd. 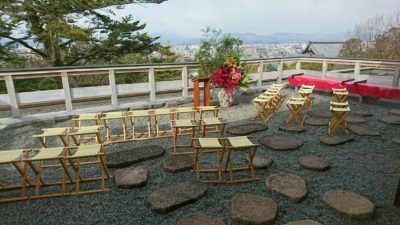 “Toyokuni Shrine” is commonly know as “Houkoku-san” by the local people. 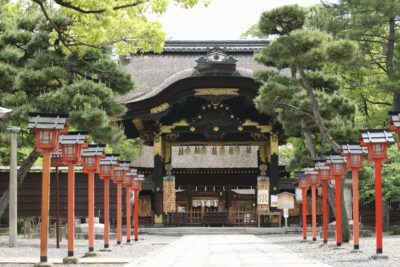 It enshrines Hideyoshi Toyotomi and his wife Nene who were tied by a love marriage that was rare at that time. 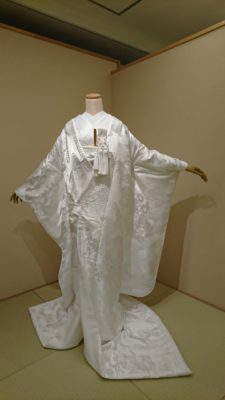 LST created original “Shiromuku (all-white wedding kimono)” for the wedding ceremony at Toyokuni Shrine. 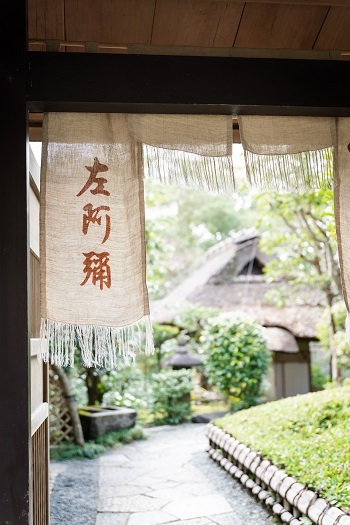 Is is gorgeously woven with the motives of “Nihon Sankei (The three views of Japan)”; Amano-Hashidate in Kyoto, Miyajima in Hiroshima and Sendai in Miyagi along with the crest of the shrine and some botanical motives like peony,wisteria, chrysanthemum and pine trees. Please come and try it. You can have a full view of Kyoto City from the observatory deck. It is good for the civil wedding. A gorgeous hall with a stage. 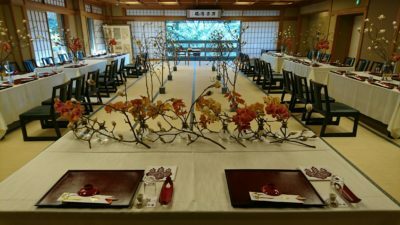 100 guests can be seated with tables. This room is very bright from the sunlight coming through the big window. Magnolias are arranged as a main for the decoration. 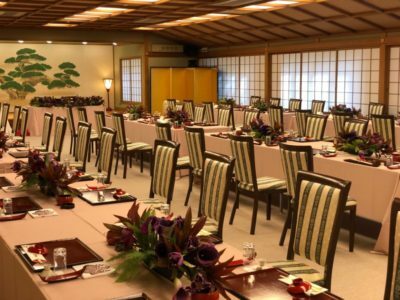 This room can be used for the feast with a small group or even as a venue for a wedding ceremony. 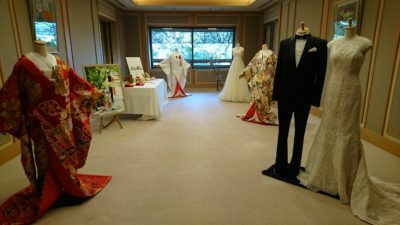 On the display are “Uchikake” from LSD Design KIMONO and a dress from Marie Classe. 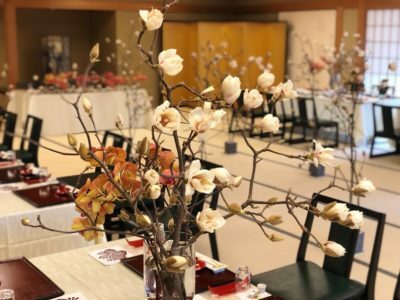 We held a wedding fair at Saami Ryoutei restaurant on February 10th. We really appreciated that so many people visited the fair. It is the 15th year since we started holding the fair twice a year, in summer and winter. All of LST staff are really grateful for being given such opportunity at the historic place like Saami. We would like to thank for all the guests attended, Saami and other partner companies who collaborated with us.